Leaving camp this morning we had a strong SW wind which stayed with us all day. During the morning, depending upon which direction we happened to be going at the moment, we variously had a headwind, a tailwind, or a crosswind. Fortunately our route was fairly flat. Not too far from cam, just as we were about to cross a bridge, we saw a little sign pout up by a TdC ’97 vet. 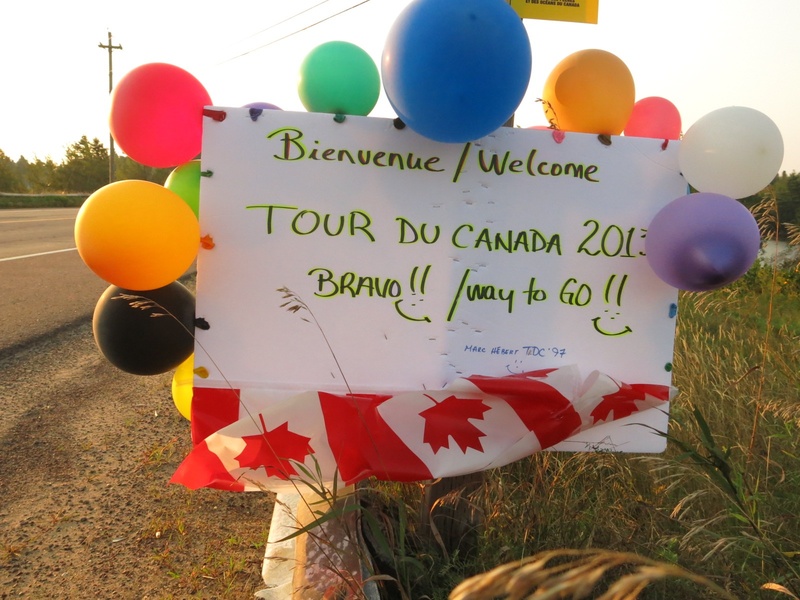 For the first time in nearly 6000 km Elaine and I both missed a couple of turns on our route. Fortunately both times we figured out fairly quickly that we were on the wrong route and in the end only added about 3 km to our ride. 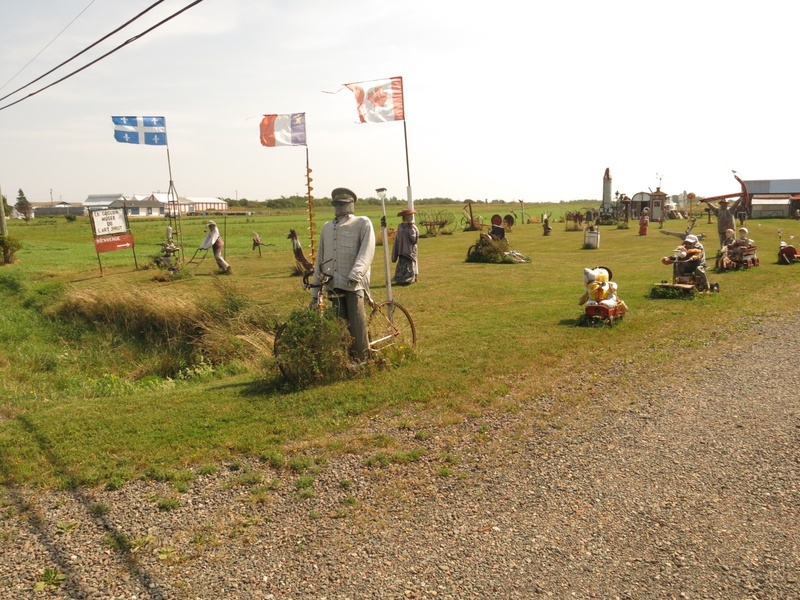 We were riding through the heart of Acadian territory and flags were everywhere. 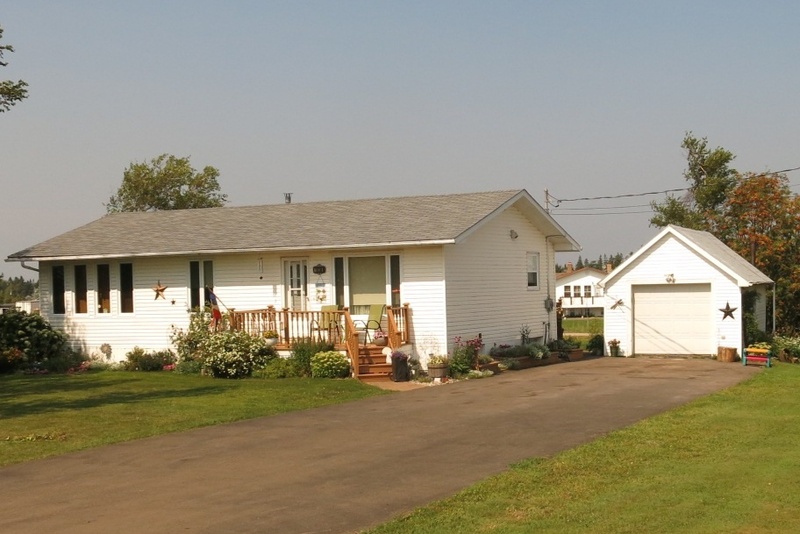 A lot of houses sported Acadian stars, something we started seeing in Quebec. 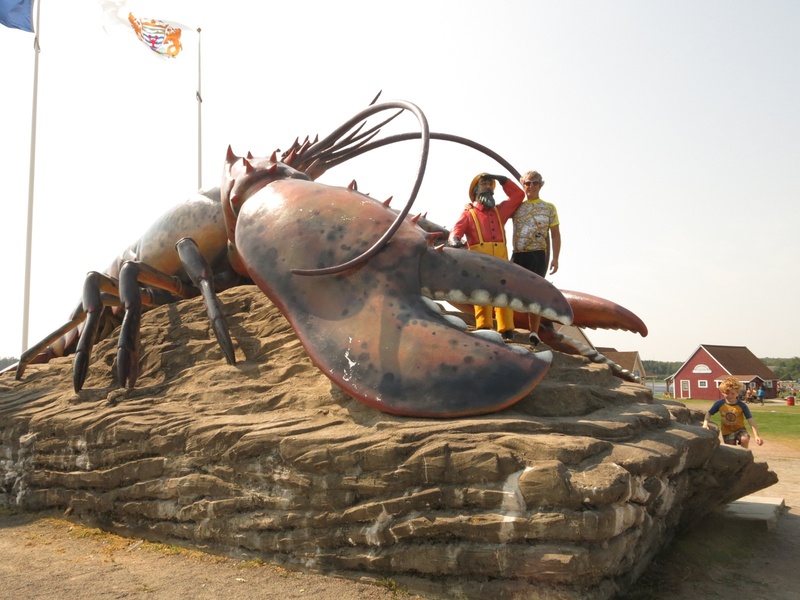 In Shediac we stopped at the giant lobster. From there we found a restaurant for lunch. I was hoping to find an A&W as today (Aug 22) is Cruisin’ For A Cause Day where $1 from every Teen Burger sold goes to the MS Society. 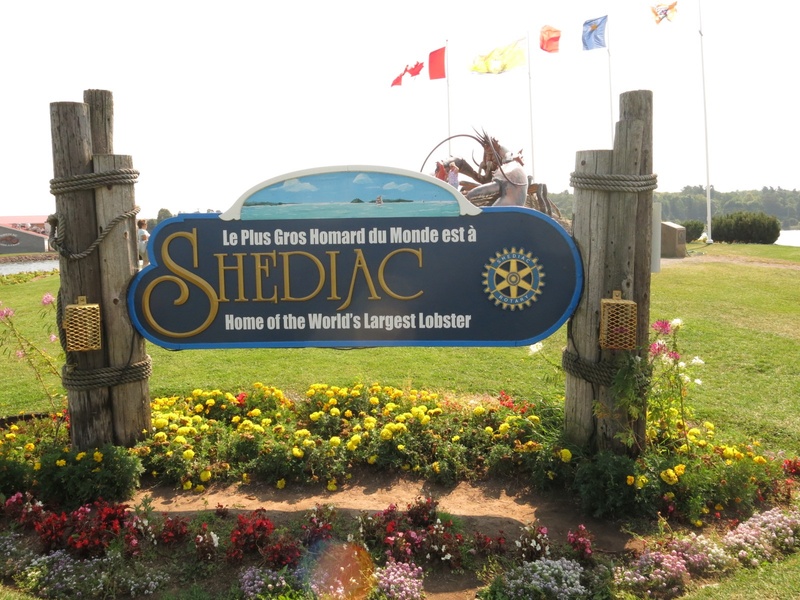 Unfortunately there was no A&W in Shediac nor anywhere else on our route. So I had to settle for a lobster roll which was no great hardship. While at the restaurant Clarke and Becky arrived. They flagged down a guy on a bike with a trailer who they had met earlier and he also came in to join us. 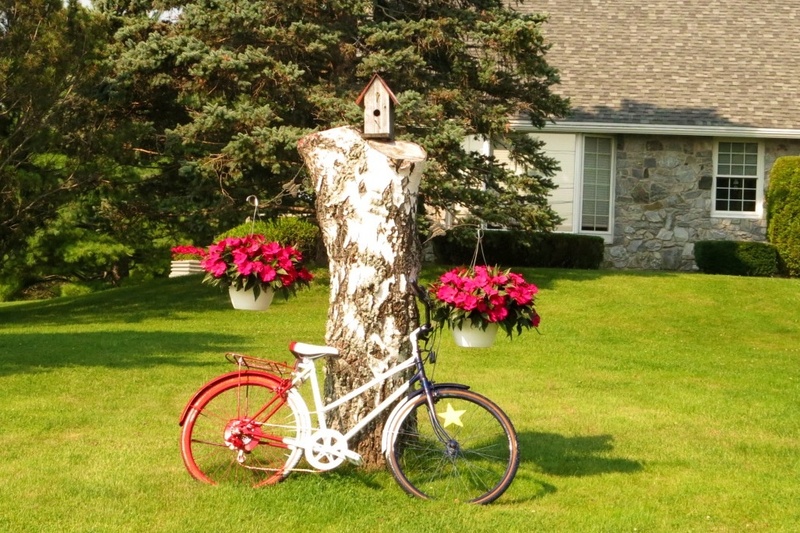 The fellow was from Edmonton and was doing an unsupported ride from Vancouver to Nova Scotia. For the afternoon we generally had a tailwind other than at the end of an optional scenic side trip that wasn’t particularly scenic. 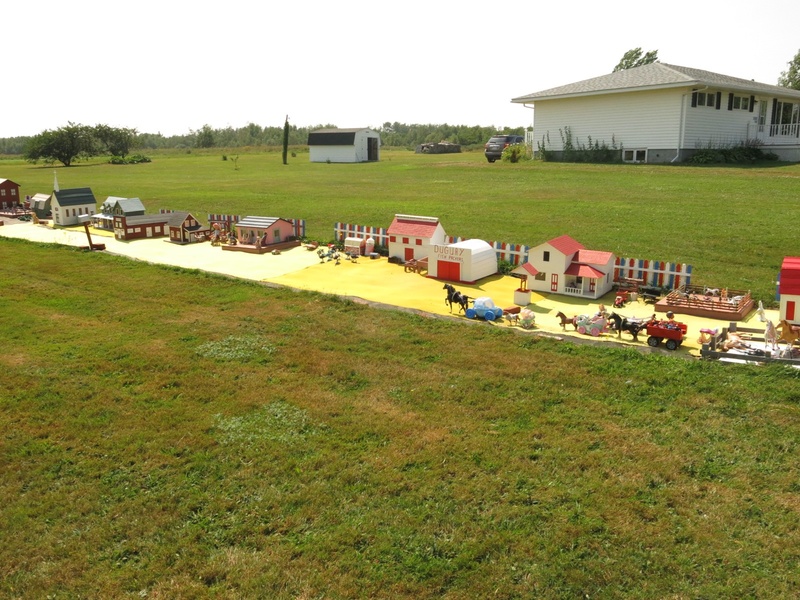 There was one place with a lot of stuffed figures in the yard and another yard that had a miniature town in it. But otherwise there wasn’t much to see other than the odd glimpse of the ocean. The last 10 km though was hard into a strong headwind before we finally turned onto another highway. 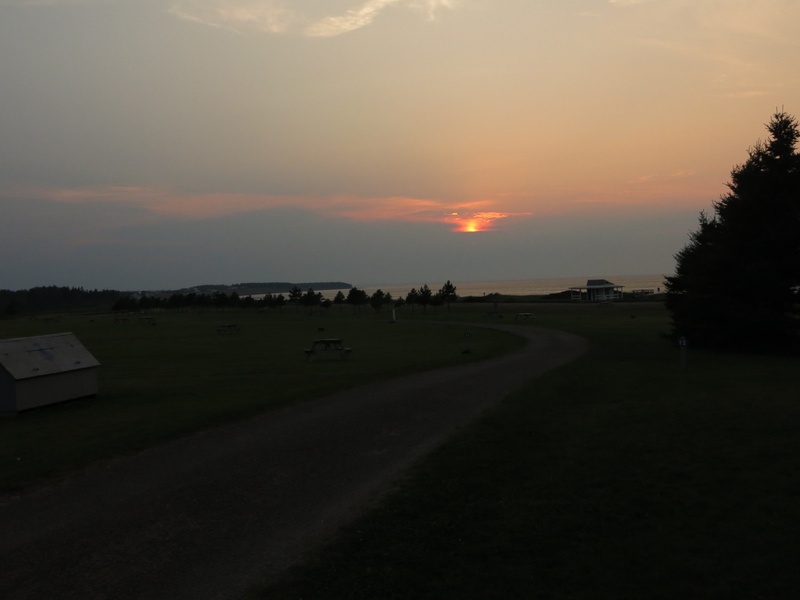 By just after 4 pm we arrived at Murray Beach Provincial Park. 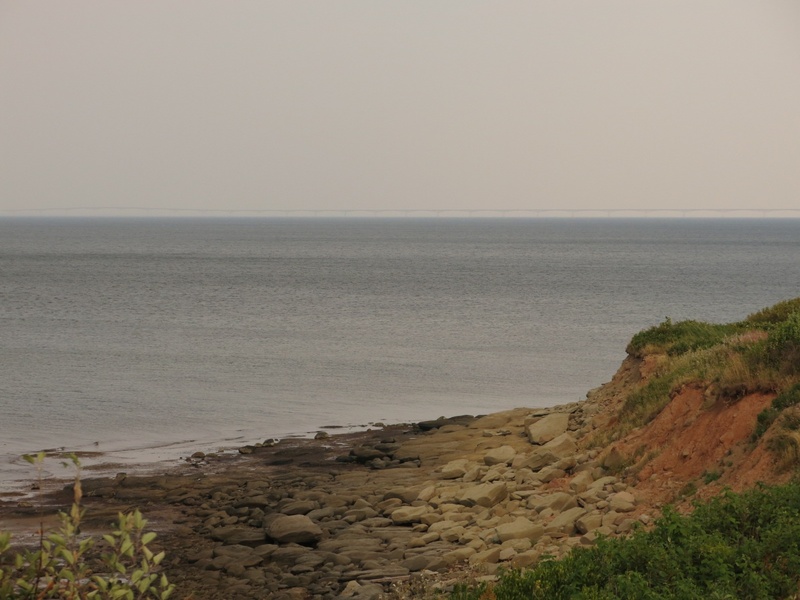 After setting up my tent I hiked over to a part of the campground where you could see the Confederation Bridge in the distance. 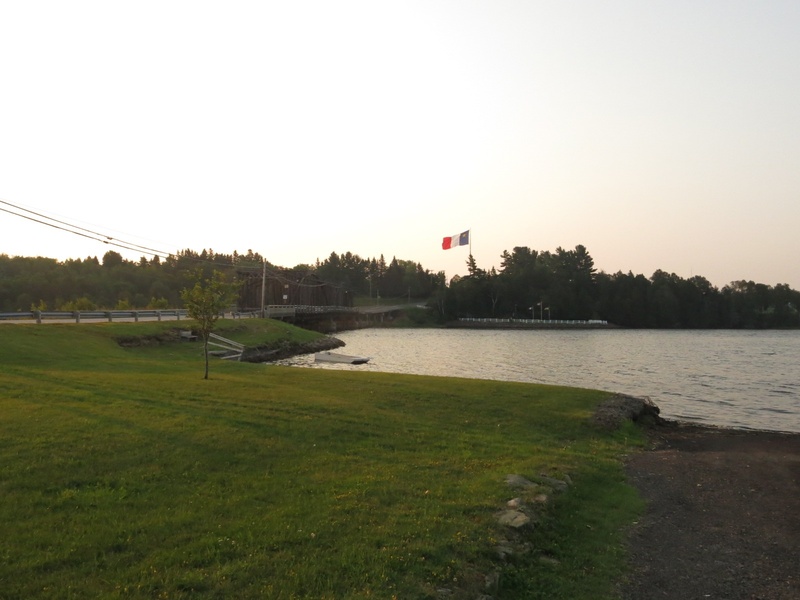 Tomorrow we have a 16 km ride to catch the shuttle that will transport us over that bridge to PEI. Thanks Carole. I really enjoyed meeting you and it was an honour to spend the summer with Danny.